I had so much fun making this card. I followed the sketch at The Shabby Tea Room. I used Papertrey Ink Cardstock & Twine, GCD Studio Embellishment, Recollections Bling, AC Dear Lizzy Ribbon, and a Tattered Angels Crown with Glimmer Mist. My Patterned Paper is Kaisercraft and Little Yellow Bicycle. And a reminder. 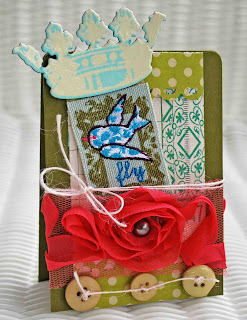 The Paper Garden Projects Blog Hop begins in the morning at 10 Am est. What an awesome card, Amber! 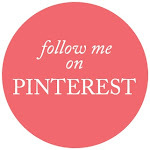 I just love the vibrant color palette you used for this...it's so fun! I also love the different textures! Beautiful work! Thanks for sharing it! Hi there, Amber! So nice to "see" you! I'm glad you played along with us at the Tea Room this week. Your card is super adorable. Love that ribbon and twine, and the crown is such a fun touch. What a fun card! Cool embellishments and layout! Very pretty card Amber. There is just so much to see...impressive...my child. Love the crown! Thanks for sharing.